The old “Due to (from) related parties – Detailed disclosure” note had a Sort button which allowed sorting of the Related Party Transactions. A second Sort button has been added, which allows sorting of the Related party transactions section to moved to below or above the Due to (from) sections. Allows for inserting a Note from a Financial Statement template in another CaseWare file (added to the options available in the Express Button right-click Menu options as seen below. When selected, the User is prompted to selected the CaseWare file to copy the note from, select the FS module to copy from and the corresponding Note, in the selected Source FS is displayed in a comparison window and allows you to select “Replace”, to copy in the Note, replacing the Note in the Current FS. PST rate for Manitoba has been updated from 7.0% to 8.0%. 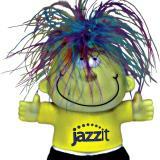 The clean-shaven men of Jazzit have decided to don moustaches for the month of Movember. Mike challenged the men deprived of facial hair (Josh and Adam already sport fashionable beards) to see who could grow the best ‘stache during the month in memory of a good friend he lost to cancer earlier in the year. Who do you think has the best mo? Accounts Payable Control & Accounts Payable Confirmation: These working papers now support 51 company entries. You are able to input company details, dates, and amounts to be paid in the Accounts Payable Control working paper. You are then able to choose between these entries in the Accounts Payable Confirmation via a drop down menu. Accounts Receivable Control: These working papers now support 51 companies, increased from 21. Property, Plant, and Equipment Schedule & Property, Plant, and Equipment Note: These two modules now have properly corresponding amortization rates. 1-9 column Income Statement Schedule & 1-3 year statements: When choosing forecasting in the column field 'Type', these column headers now display the appropriate year depending on how many years into the future is selected in the 'Year' field. All statements: Manual lines have been updated to print regardless of if they have information inputted. When the calculator opens, you are presented with a number of options for the calculation. When you have made the selection click on the "Recalculate & Transfer" button, which transfers the results (Repayment Summary & Future Reypayments) to the LT Debt working paper. JZUPDATE: Added a "Add to GENMST" column in the JZUPDATE. If a module is not included in the GENMST, a button will now appear and print in its own column. JZARCTRL: Added a quick drill down to access the AR Control from the AR Confirmation by double clicking the company selection menu. BC-BG Bank confirmation: Setting communication to fax now shows complete contact details instead of only name and fax number. EL Engagement letter: Foreign reporting paragraph updated to refer only to T1134 (not T1134A and T1134B). KP Generic 3 or 4 column note: KP8 generic note can now have from 1 to 5 columns selected (previously 3 to 5 columns). Changes from calculated to input cells when number of columns set below 3. JZLNR Loans receivable, JZCD Callable debt, JZCPL Capital leases, LT Long term debt Working Papers: Added option to skip the accrued interest or interest reasonability section independently. BS Balance sheet, BS2 1-3yr balance sheet, BS3 Balance sheet, CL Client enclosure letter, EL Engagement letter: Updated to show GST, not HST, when client engagement properties province set to BC. KV Capital lease notes: Added the option to skip the amounts payable within one year by setting the link number to "skip" in the note linked to the trial balance. RL Client rep letter & EL Engagement letter: Revised for minor wording changes to CGA (PPM) wording. BS Balance sheet: Added the MANUAL/SUBHEADING line insertion option to the 2 year balance sheet. Manual line also does not skip if all zero balances to accommodate NIL lines. IS Income statement: Added the heading option "For the year ended..." at the top of income statement and statement of R/E. TX Income taxes wp: We have added a column for capital dividends received in the capital dividend section. SC6 1-9yr IS schedule: Number of columns selected is maintained when page size or orientation settings are changed as long as the total number of columns selected does not exceed the maximum for the selection. Great News! We are excited to announce the CGA Audit Checklists are now available. This new package has all the Jazzit features you love in our simple and easy to use CaseView format. Existing subscribers to the CGA Review Checklist can add-on the Audit package at a reduced price. New subscribers can purchase both the CGA Review and CGA Audit Checklists for a bundle price. Get started today by completing the order form and fax to our office. We'll get you up and running fast by providing a link to download the package from our website through your online account. If you require assistance in updating your Jazzit Checklists please click on the following link: Updating Jazzit Checklists. JZKC Knowledge of Business Checklists: Added functionality to accomodate insertion of new ratio with or without $ sign under Financial Ratios. JZL1 Letter to Lawyer: Replaced a period with a semi-colon at the end of the last sentence when "Annual Meeting" section is set to print. IS Income Statement: Changed "Extraordinary operations" which is no longer required under ASPE to "Discontinued operation". K3A Individual Sig Pol: Corrected singular/ plural wording for the first paragraph of the Property, Plant & Equipment policy and second Property, Plant & Equipment policy. RL Client Representation Letter: Replaced all instances of 'Shareholder' with Owner title set in financial statement. K1 Description of Business: Description of operations default note updates to accommodate the ASNPO. K3A Significant Accounting Policies: Added two (2) new policies: 1. Pledges, 2. Investments and other non-cash assets. CA-CB PPE Working Papers: Added feature to show a warning message when additions are entered in the same row as opening balances. IA Intangible Assets: Added feature to show a warning message when additions are entered in the same row as opening balances. Congratulations to Emily Clark, the winner of the Southern Alberta Insitute of Technology - Jazzit Award for 2012/ 2013. JZDIAG Diagnostics Report: Added the feature to add/ sort/ delete a new document which a client adds in a document manager. RP Engagement Report: Added diagnostics to include basis of presentation note/ policy when set to ASPE/ ASNFPO ongoing if not found. As well as a diagnostic to insert transition balance sheet when set to ASPE/ ASNFPO transition year. BS/ BS2/ BS3 Balance Sheet: Added a sort function in the Issued Share Capital section of the balance sheet. K2 Basis of Presentation: Updated the "Basis of Presentation Default" note to support ASNPO and IFRS. This note will default to ASPE or ASNPO based on the structure selected in the home menu. TC Table of Contents: Optional statement prefix now can be chosen from a drop-down menu which will appear in the Table of Contents Heading "FINANCIAL STATEMENT" (or selected under Page Options). This award is available to a second year student enrolled in the Business Administration- Accounting program. Awarded on the basis of the most academic improvement between semester I and semester II of the program.